It’s official! Instagram Stories have taken over. While Snapchat may have pioneered the use of disappearing content, Instagram stories is gaining momentum and keeping users engaged on this app. Separated from the usual curated profile, stories allows users a more realtime sharing. This type of content disappears after 24 hours and is not a permanent fixture of your profile. 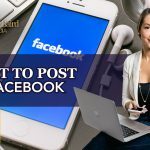 If you want to learn more about Instagram and how to grow your following on Instagram, you can download my free guide. While investing your time in using Snapchat pays dividends to reach your market, many businesses are taking the leap to also use Instagram Stories. Here are five ways you can use Instagram Stories to help your business in marketing efforts. Show your products in use. Instagram Stories are great for promoting your product. It’s an intelligent way to show viewers what your products can do and how these products can help them. Use the Stories to show a series of videos or photos that give people an idea of how to make use of your product. Give viewers a hint of how your product works in action and show the behind the scenes background behind it. This idea is really helpful for physical products. You can also do tutorials, features, interviews. The key here is to offer information that your customers may need by knowing what your product is all about. By doing this, you’re driving consideration and interest to purchase. Do this in the most genuine and entertaining way as possible. Use it to celebrate an important milestone. Create an engaging story to highlight important company events or anniversaries. These short videos are great at highlighting your company occasions to build loyalty for your business. Take this opportunity to look back on your company history and provide your customers a sense of belonging. Try to add variety and color by featuring your employees and customers in these videos as well. Your business may have a lot of stories to share and by sharing this and your personality, you can keep your customers interested in your mission and purpose as a company. Deliver offers or discounts. Using Stories to share your business special offers or discounts to your customers will drive better results than just posting it on your page. Since a story only lasts 24 hours, this will build a sense of urgency for your customers to take action quicker. Use the stories to refer your followers to your website or your offer by either posting the link in your bio and telling them that they can go there or you can link it to your story directly and tell them to swipe up to go there. Disclaimer, at the time that I’m posting this, only verified accounts or business accounts with over 10,000 followers can link directly on their story but as we know, social media changes all the time so when that changes, I’ll update this blog to let you know that. So, use your Instagram Stories and share an offer that will take them to the landing page that can give them more information on how they can redeem that offer. Show what goes on behind the company. Give your audience a sneak peek at what happens behind your company operation. One idea is to do a special feature that gives your users a behind the scenes look behind production or behind product creation or just what your work is like on a day to day basis. Sharing your projects with your audience can be fascinating for your existing customers and prospects. Capture your user’s imagination by doing a series of photos or images. Be as creative as you can and play on the reveal. Do an Instagram take-over with an influencer. One creative way of using stories is by allowing another person to take over your account. It’s a fun way of interacting with your audience and at the same time, bringing the value of the influencer’s audience with you. Take-overs are awesome for your brand because they provide mutual brand exposure and cross-promotion. This is a smart and easy way for growing your audience. Tap into influencers that embody your brand’s persona and can create huge amounts of content for your stories. If you want to learn more about influencers, you can check out my free PDF guide on The Complete Guide to Effective Influencer Marketing. 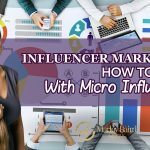 This can help you develop an influencer strategy for your social media accounts. These are just some of the ways that you can maximize Instagram Stories for marketing. Do you have other tips on Instagram Stories? Share your tips and tricks with us in the comments and don’t forget to download my free guide on How to Grow your Following on Instagram.